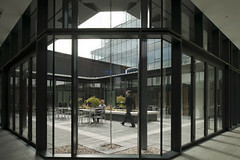 Our design team was selected following a limited design competition held by Hazledene Estates Ltd. Our overall strategy for the site was designed around the creation of semi public courtyards in the centre of the site and was concerned always to try and establish a new piece of the city rather than just a closed commercial development. 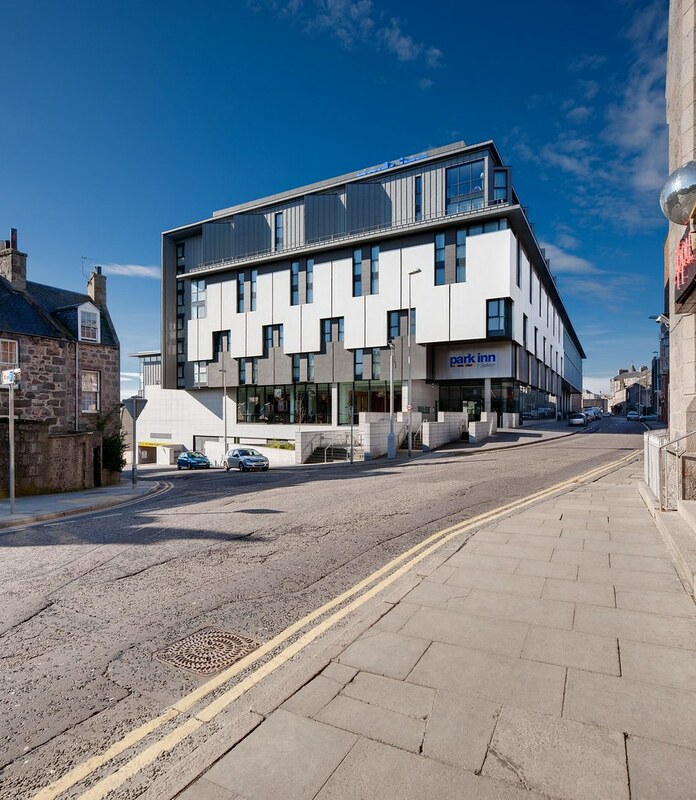 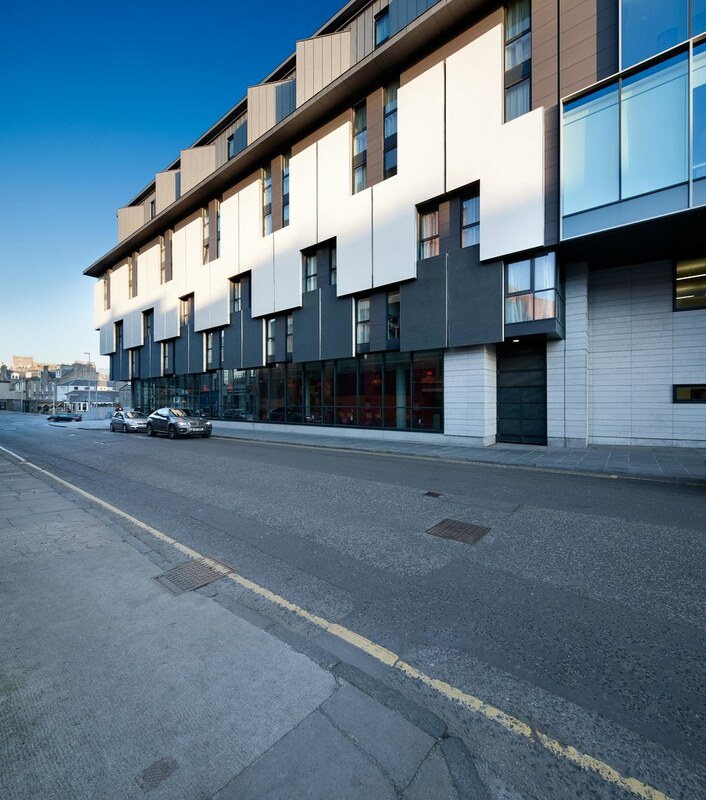 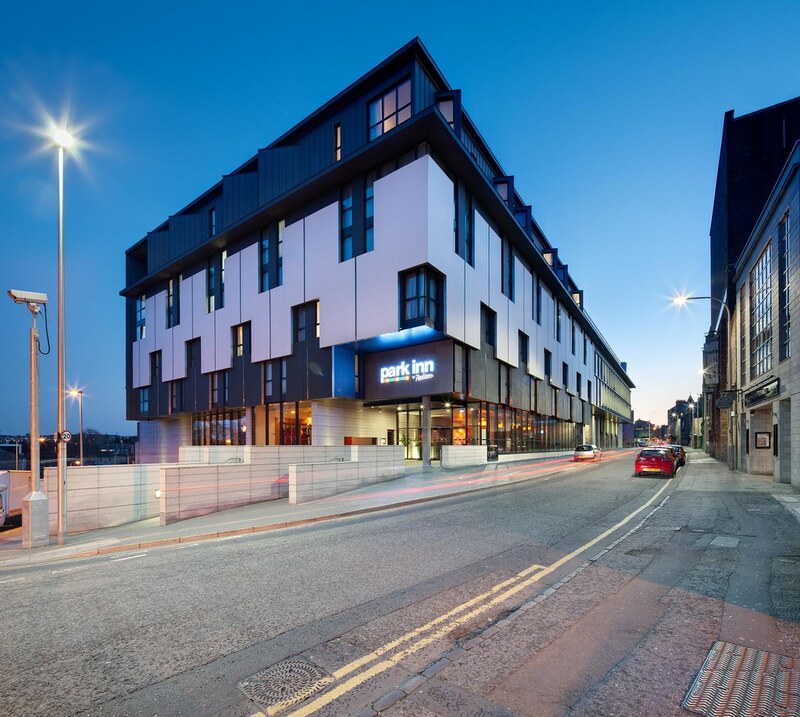 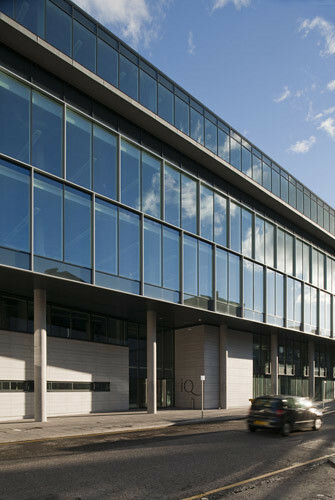 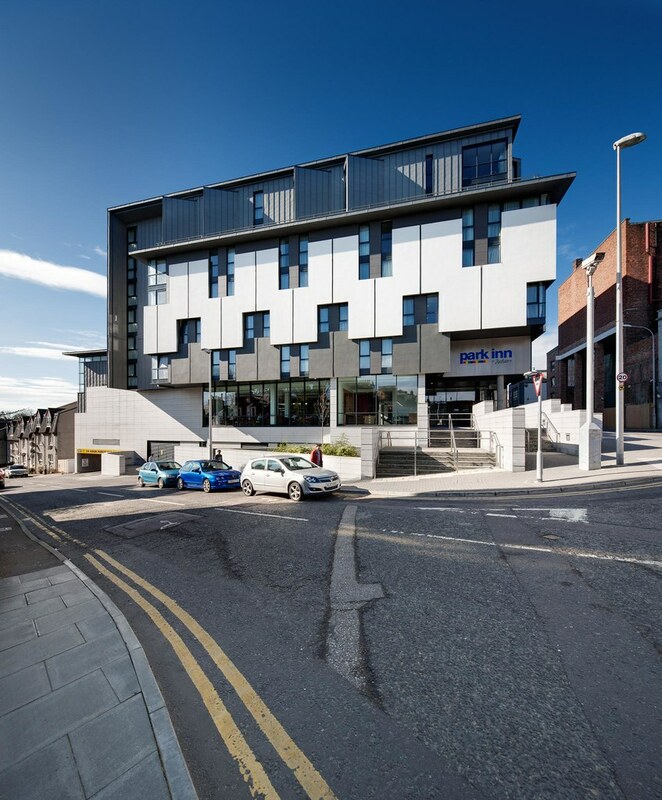 The scheme is split between high quality office space and a Park Inn Hotel for The Rezidor Hotel Group. The project has taken on the form of two buildings sitting next to each other with the hotel taking the more prominent corner site. 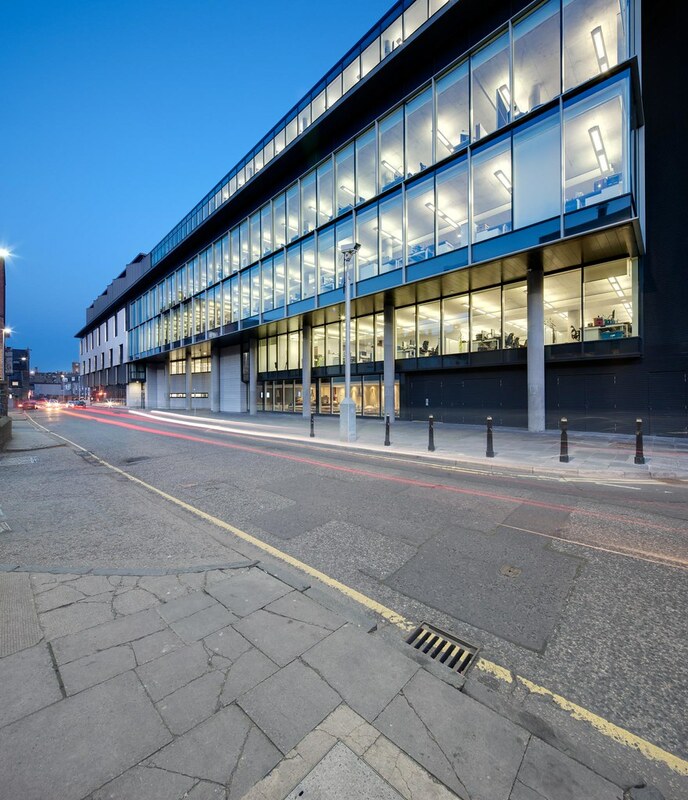 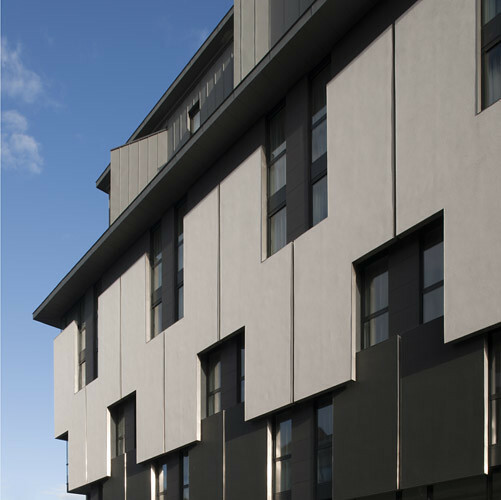 The large amount of accommodation to be fitted on the site (the product of a previous planning consent) led to a set back on the elevations to both Justice Mill Lane and Hardgate. 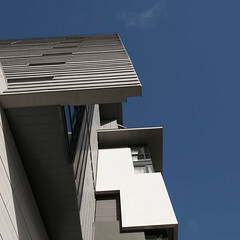 A prominent projecting eaves unites both office and hotel even thought there are different number of floors below it. 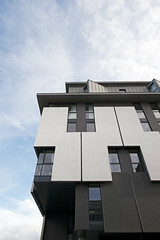 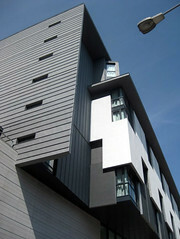 The hotel elevation clearly expresses the cellular nature of the building with a series of overlapping rendered panels. The office elevation is fully glazed. 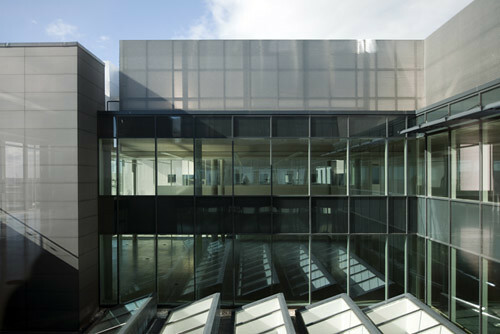 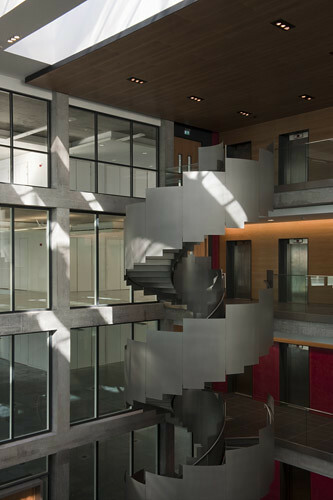 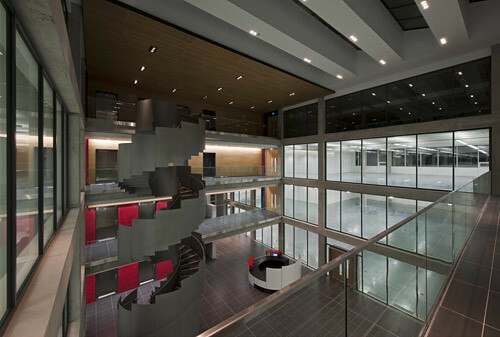 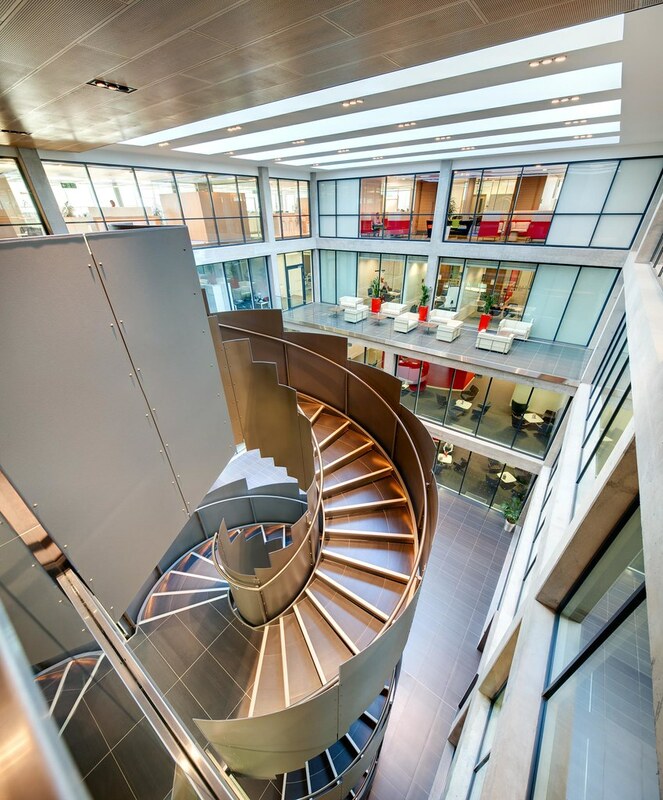 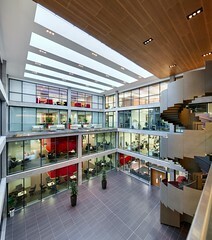 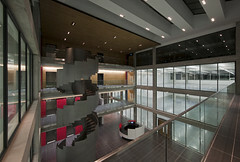 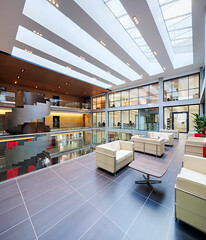 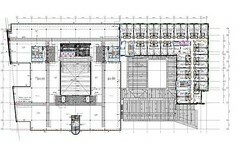 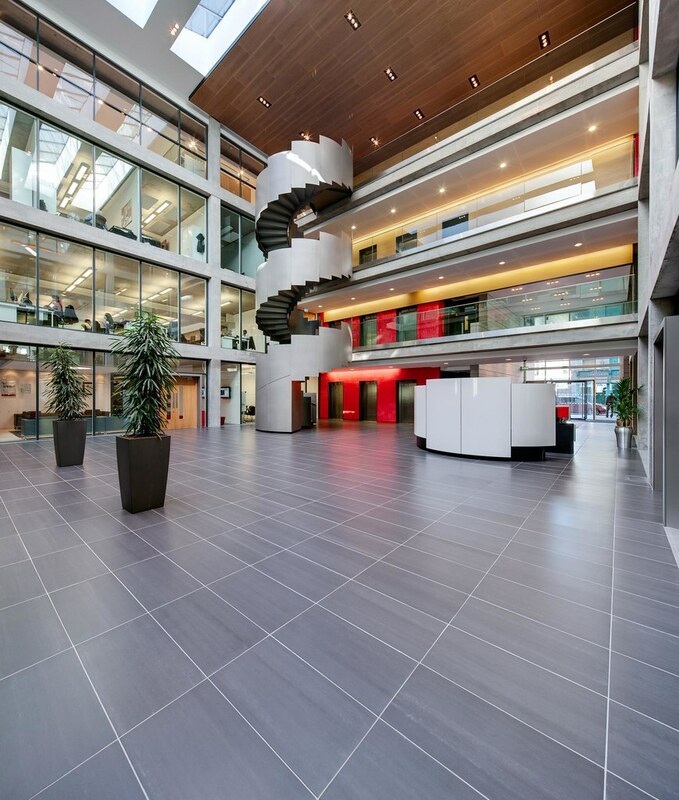 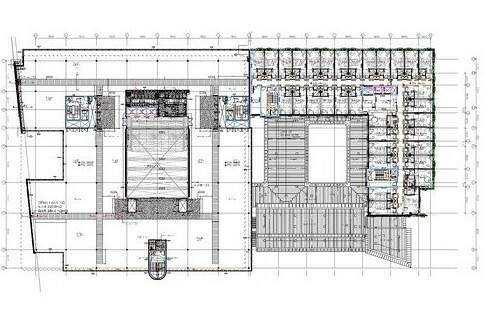 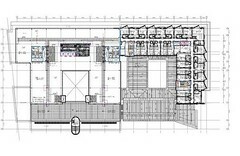 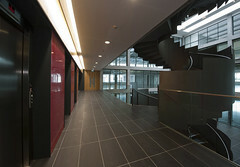 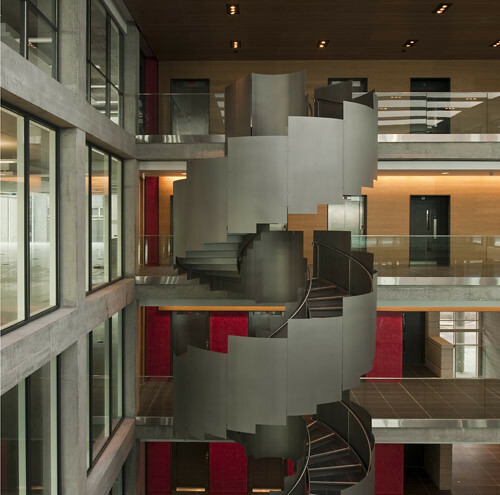 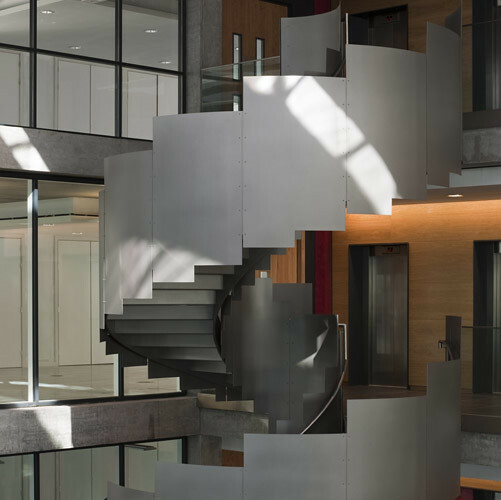 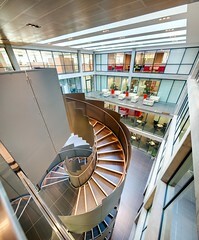 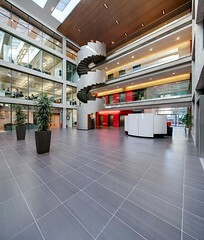 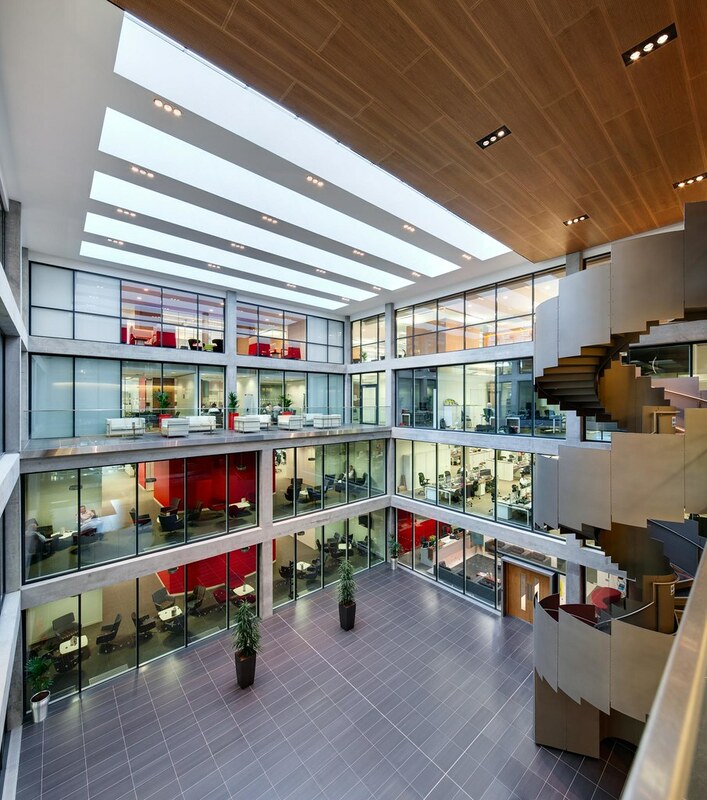 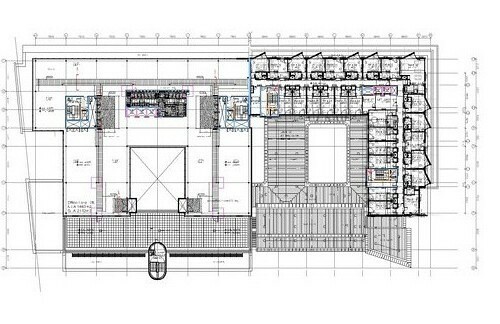 The total office floor area (gross) is about 13,700m2 and is organised around an atrium. The floor plate gradually diminishes from both the north and south elevations and there are extensive roof terraces. The gross to net ratio of the office is 83% And the office floor plate is capable of subdivision into 16 different tenancies over the six floors. 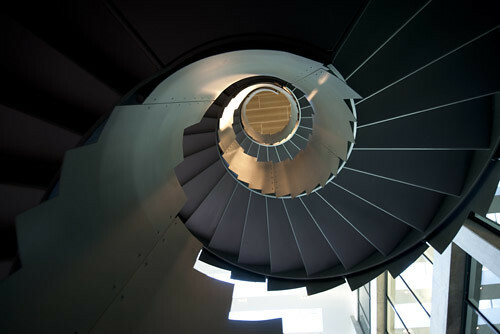 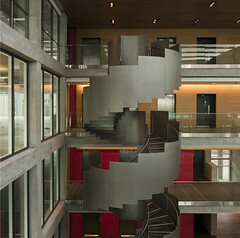 Within the atrium a spiral staircase connects the first three floors. 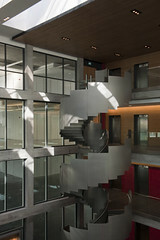 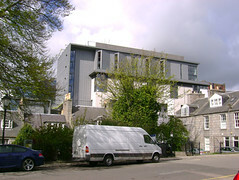 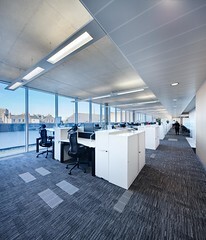 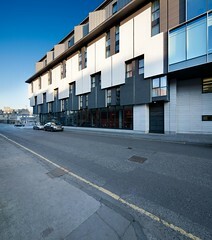 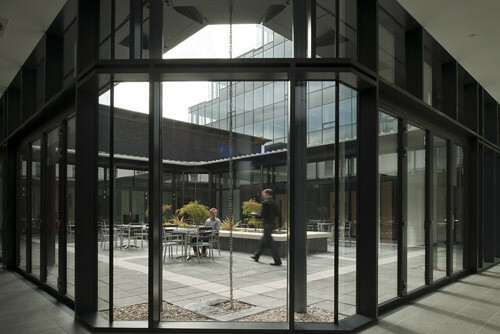 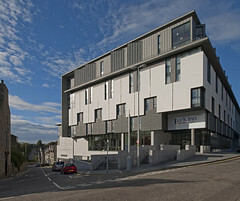 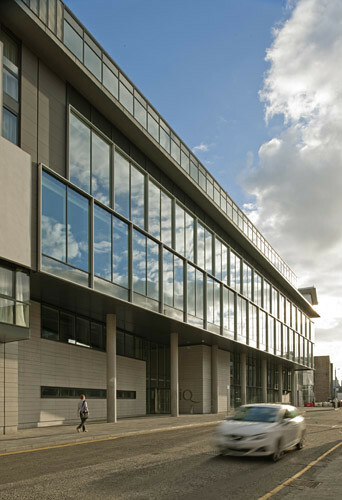 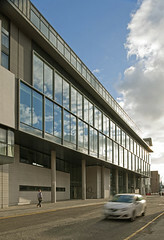 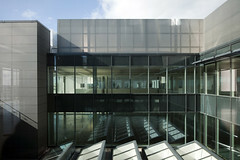 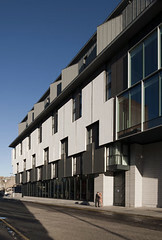 The design set out to be a low energy solution from the outset and the environmental strategy is holistic, using exposed concrete soffits, under floor displacement ventilation systems and an environmental control strategy, which has delivered a building 30% more energy efficient than building regulations required. The hotel opened its doors to the public on the 23rd August 2010. The office building received its first tenant in early 2011.Park Inn announced after their first year of trading that it was their most successful European hotel.